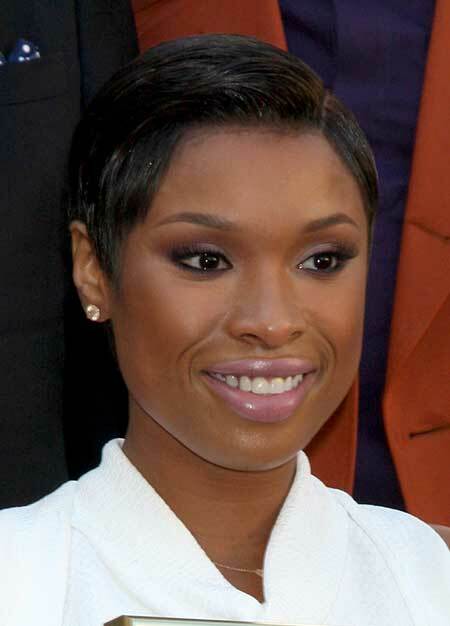 Singer and actress Jennifer Hudson made waves by sporting a shocking hairstyle. Hudson chopped off her locks to adorn a short pixie cut style. She has been seen sporting this haircut in a sleek style as well as a casual, tousled style. If you want to recreate this look, read on to what tools you will need. Unless you have naturally straight hair, you will need a flat iron to mimic Hudson's famous hairdo. A thin, small flat iron that is less than one inch in diameter is best for short hair. If you sport naturally straight looks, you still may want to invest in a flat iron. It can help you polish this style when you want it to look extra sleek. It may seem obvious, but a blow dryer will be necessary if you plan on styling your hair daily. Using a flat iron on damp hair is very dangerous, and letting hair air-dry can be time-consuming. It only takes a few minutes to blow dry this hairstyle. As an added benefit, it helps smooth down your strands for proper styling. If you want to sport the tousled, textured look that Hudson has, you will need hair pomade or wax. This product is designed to help your hair look textured while giving it the necessary hold. If you want a sleek look, purchase smoothing serum or cream. Lastly, make sure you buy a heat protection spray or serum for when you flatiron your hair. These are the simple tools and products you need to recreate Jennifer Hudson's hot, popular hairstyle. It may take a bit of trial and error to get the perfect look. So, have fun experimenting with these tools and hair products until you get that ideal Hudson-inspired hairdo you've been dreaming of. Sherry Harris is the solopreneur of Sherry’s Life. On the blog she writes about any and everything related to hair care and hairstyles. 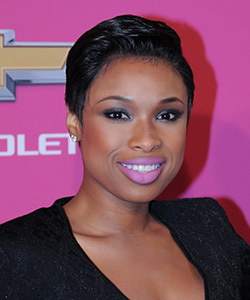 Jennifer Hudson and her haircut truly rock. This look showing off a simple blunt pixie cut with sleek style and she apparently loves her style and stated on her Instagram "Yep, catch it! You've been jenniferized...catch it!!"